Two dancers, two stages, two media scenographies, one interactive dialogue – in between a distance of 7800 kilometers. Duosi Zhu – ballet dancer oft the Semper Opera Dresden and guest dancer in Cologne – and Michael Maurissens – choreographer and dancer of the Michael Douglas Company and guest in Beijing – are drawing poetic cyphers with their gestures into the space – synchronously onto the stage in Cologne and onto the stage in Beijing. 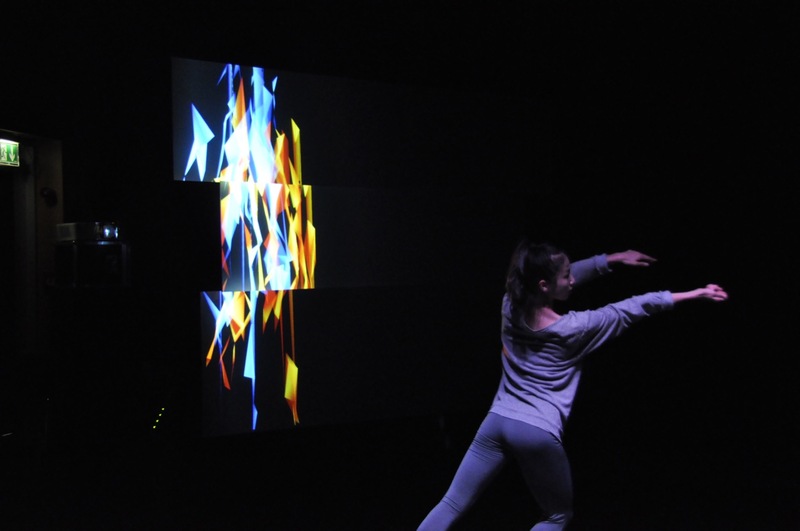 A pas de deux in virtual space that bridges two continents with three dimensional animated paintings, visual rhythms and a poetic communication of closeness and at the same time of distance. 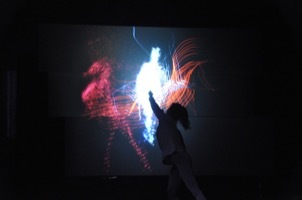 A direct exchange between dance, soundart and interactive settings. 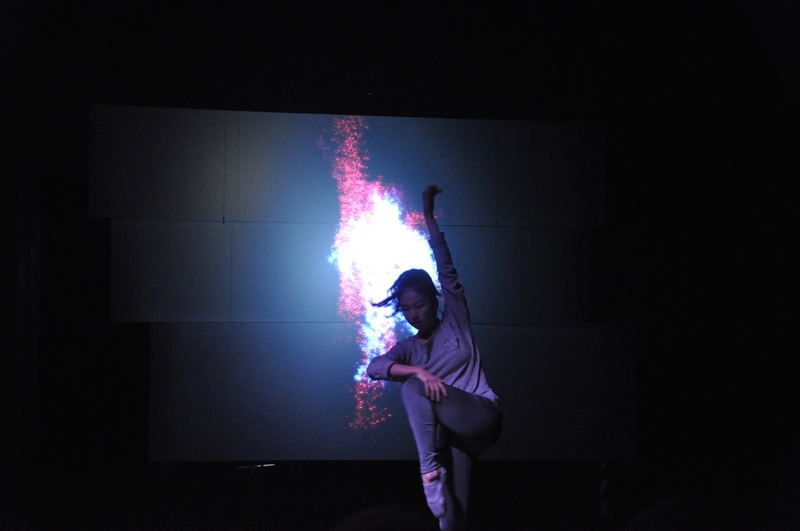 A new form of choreography. The digital code transports the message. Using a 3D-engine, a motion-capture-system and the internet a German-Chinese team of artists, musicians and informaticians are connecting two worlds. 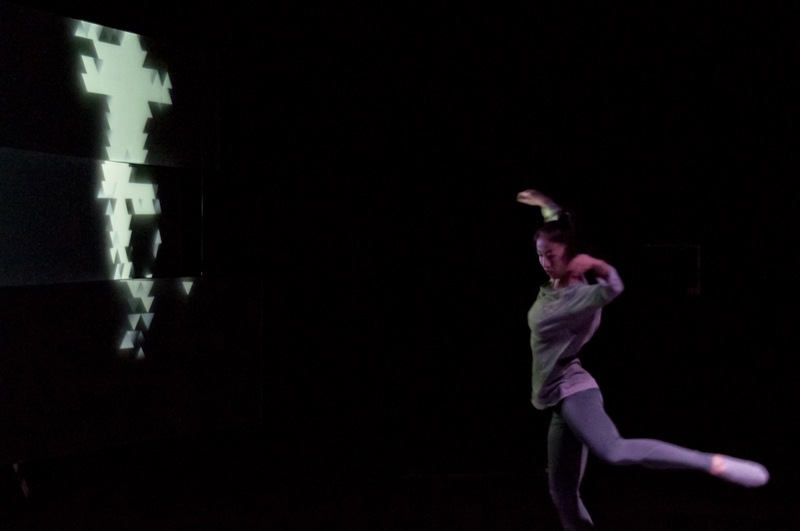 The piece was first performed synchronous in Cologne and Beijing September 14th and 15th 2012 (partner: Renmin University of China RUC Beijing). In addition to the choreography the public of both cities were able to perform together.